Our Fuji distributor Sam Jin Tech Co., Ltd in Korea will present Fuji products at TOOL TECH 2017 (Seoul International Tool Exhibition 2017) October 24, 2017 through October 27, 2017. Welcome to take the opportunity to visit their booth 1-607 for full range of Fuji assembly and material removal tools. 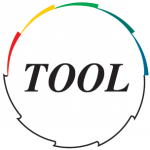 TOOL TECH (Seoul International Tool Exhibition) is a tool-specialized exhibition only one in Korea that exhibits high speed steel tools, carbide tools, diamond tools in addition to working tools, electric power tools, pneumatic tools and other relevant tools. TOOL TECH will provide a unique opportunity to have a closer look at every real aspect of both Korean and foreign tools and the related industries including the trends of related equipment industries and technology development of cutting tools by displaying about 45,000 items enabling visitors to have a bird-eye-view of Korean and foreign tools and related industries in the present and future status.